Remember those childhood tug-of-wars where once your team started pulling in unison, the momentum seemingly grew exponentially until your opposition lay at your feet? It’s becoming a little like that for Tridel. 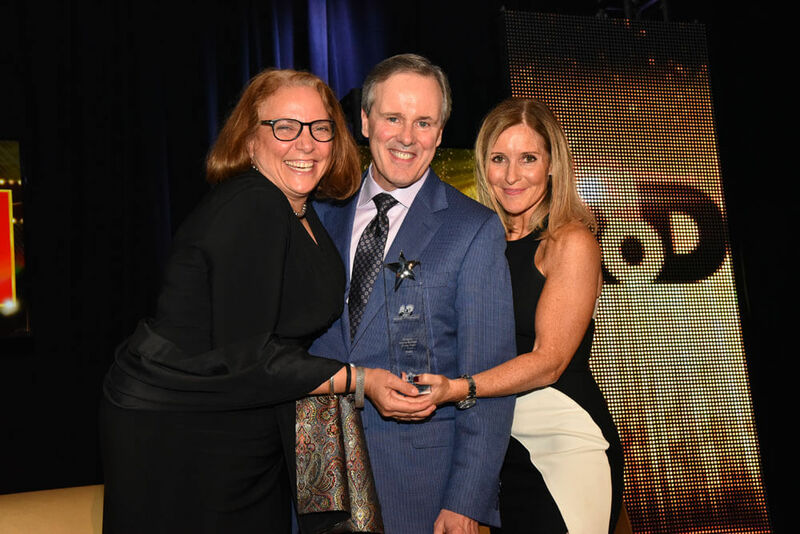 Recipient of OHBA’s Ontario Home Builder of the Year honours for the second straight year, Canada’s largest builder of condominium homes was justifiably proud of its two stunning Toronto projects up for Awards of Distinction at this year’s annual conference: Aquabella and Via Bloor. But the prestigious award is often less about what you build than about the manner in which you conduct business. And Tridel has pretty much written the blueprint on the latter. “I think it’s just the manner in which we approach the entire process, and have done for generations,” suggests Tridel Executive V.P. of Sales and Marketing Jim Ritchie, whose company also won the Builder of Year crown in 2009. Midhaven Homes is the only other builder to capture OHBA’s top annual honour on back-to-back occasions, having claimed the first two ever handed out in 2005 and 2006. “It’s a mindset—how we approach the community we’re going to build in, how we interact with municipal staff in terms of the approvals process, how we engage the consumer in terms of how the products being developed,” adds Ritchie. “Anywhere there’s a touchpoint in dealing with consumers, it’s Tridel staff at the forefront.That might sound obvious, but it’s our own sales people, our own customer care people and our own construction people doing the most important things. Beyond its excellence in customer service, Tridel has played a leadership role through provincial stakeholder engagement and piloting various initiatives to push the envelope in resilient buildings. “The greening of our buildings is a process we started some time ago,” notes Ritchie. “Since 2005, we’ve brought forward about 11 million square feet in LEED-compliant buildings, and we’re now marketing LEED Platinum with both of our new projects in Toronto’s Bayside Community. And we’re currently working on our first Net Zero suite, which is being developed in our Aqualina building, which we’ll be able to demonstrate next April. Tridel also supports social change through programs such as B.O.L.T. (Building Opportunities for Life Today), which has helped increase participation in the trades—particularly among those without the financial wherewithal to attend college—raising more than $2.8 million and upwards of 240+ scholarships. Tridel’s Bowery Project, meanwhile, continues to turn vacant spaces on its development sites into places to grow food for the YMCA, while its Take Action initiative is an employee-driven (and management-supported) initiative that has ranged from diverting 1,634 batteries from landfill in its first year, to recycling thousands of pounds of e-waste, to building schools in South America and Africa, to raising funds for prostate cancer and Habitat for Humanity builds.